Bryant Park always has something going on, whether it’s ice skating and a holiday market during the winter or movies in the park during the summer. 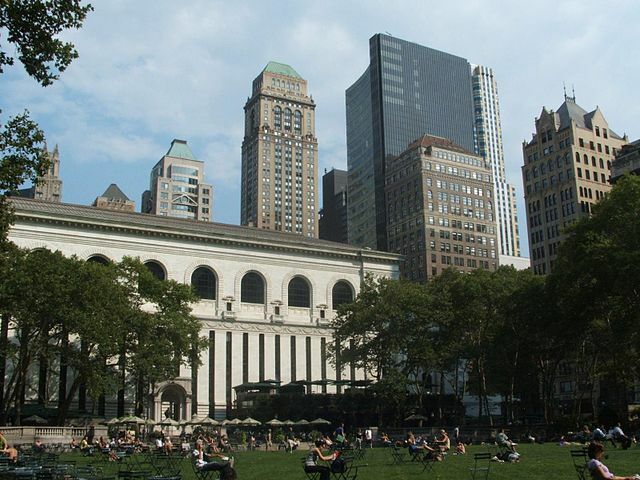 Situated right behind the main branch of the New York Public Library on 6th Avenue, this park (which is much smaller than Central Park) is in the heart of the city, steps away from Times Square. If for nothing else, stop by for a drink at The Perch, the outdoor bar in the park, and people watch all those busy New Yorkers!